Whether or not you hire a contractor for basement finishing will depend on your knowledge of remodeling safety, the project’s level of difficulty, and how much free time you have. In general, most homeowners lack the experience and training of remodeling contractors. For this reason, we highly recommend you hire one of our basement finishing contractors when you’re thinking of adding usable living space to your home. Continue reading to learn why you need to hire professionals for basement finishing. To learn more about basement remodeling or schedule a free consultation, don’t hesitate to reach out to our finished basement company in Oakland County, Michigan. Did you know that any lumber that touches the floor needs to be treated to prevent wood rot? Did you know any walls you build in your basement need to be floating so your concrete foundation is allowed to heave? These are just a couple of the many safety measures that need to be followed during basement finishing. Our basement remodeling contractors will make sure everything is code-compliant and safe. We also take measures to prevent wood rot, mold, and other issues caused by moisture. Certain projects can be done without prior experience, such as painting walls. However, basement finishing requires a high level of skill and experience. Researching local building permits and codes is just the tip of the iceberg if you decide to do basement finishing on your own. Save yourself the headache of trying to understand technical information and legalese by hiring one of our finished basement contractors. You can expect better cosmetic results when you work with our finished basement company. Our basement contractors have years of experience when it comes to installing vinyl plank flooring, finishing ceilings, and putting the final touches on your finished basement. Hiring one of our basement contractors gives you peace of mind that your basement will be ready to show off to family and friends. If you only work on your basement on the weekends, it could be years before you’re able to enjoy your finished basement. Also, let’s be honest… How motivated are you to remodel your basement after you get home from work? If you’re anything like the rest of us, the hours spent outside of work involve you quickly fixing dinner before sitting in front of the TV for the rest of the evening. “Netflix and chill” is not how you’ll get your basement finished. Hiring one of our basement finishing contractors, on the other hand, ensures your project will be done in a timely manner. One of our basement remodeling contractors will be able to get their team started on your project right away so it can be done as soon as possible. Time is money to our basement finishing contractors, which is why they work efficiently on each job. Our basement remodeling contractors are ready to examine the lower level of your home and plan out your next steps towards a finished basement. 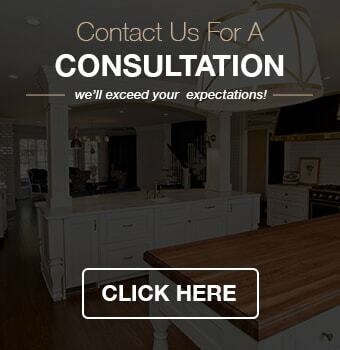 To schedule a free consultation with our basement finishing contractors in Oakland County, MI, call Kastler Construction at (248) 655-5580.